Yo-kai Watch Busters 2 opens at 208,540 sales. 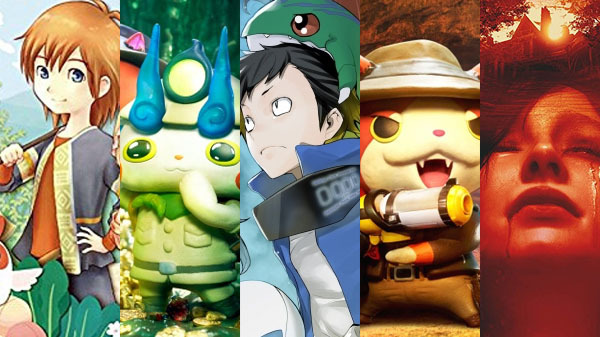 Yo-kai Watch Busters 2: Treasure Legend Banbaraya – Sword and Yo-kai Watch Busters 2: Treasure Legend Banbaraya – Magnum for 3DS sold 208,540 copies during their first two days of release in Japan, the latest Media Create sales figures reveal. Also new last week, Digimon Story: Cyber Sleuth – Hacker’s Memory launched at 24,636 sales on PS Vita and 20,890 sales on PlayStation 4 for a total of 45,526 sales. To compare, the original Digimon Story: Cyber Sleuth for PS Vita launched at 76,760 sales in Japan. Other new titles this week include Resident Evil 7: biohazard Gold Edition, which sold 14,787 units on PlayStation 4, and Bokujou Monogatari: Futari no Mura+ for 3DS, which sold 15,612. On the hardware side, Switch moved 221,210 units, up 56,302 from last week’s 164,908 units. The PlayStation 4 family sold 62,965 units. And the 3DS family sold 55,513 units.